Everyone has made it aboard now. We had our safety briefing this afternoon, learning about where to go if there were to be an emergency, how to operate the watertight doors, as well as other practical information such as where the laundry is and what time meals are served. The scientists have continued getting the gear ready, and then all strapped down so that once we get to sea things don’t start rolling around the deck. We have two enormous "marine snow catchers" on the aft deck. 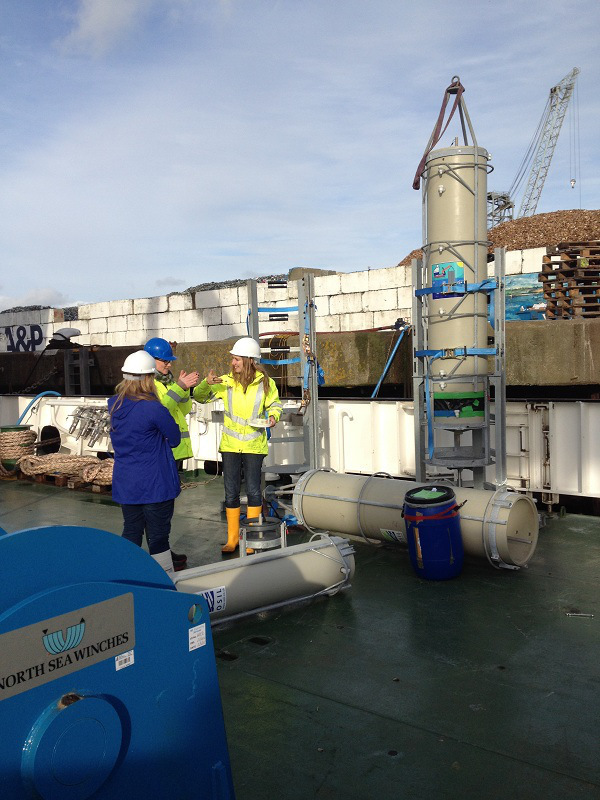 These are used to capture 400 litres of water from key depths, which is then brought back onto the ship and sampled to see what particles are in it. For instance tiny animals (zooplankton), or bits of sediment from the seabed, or – very importanly – bits of zooplankton poo. Particles in the ocean sink, taking with them lots of carbon which ultimately was removed from the atmosphere. It’s what happens to these particles, and the carbon that they carry, that forms the basis of a large component of our work. One of the mooring components was also completed and strapped down, ready to take out into the middle of the Celtic Sea and dropped onto the seabed. 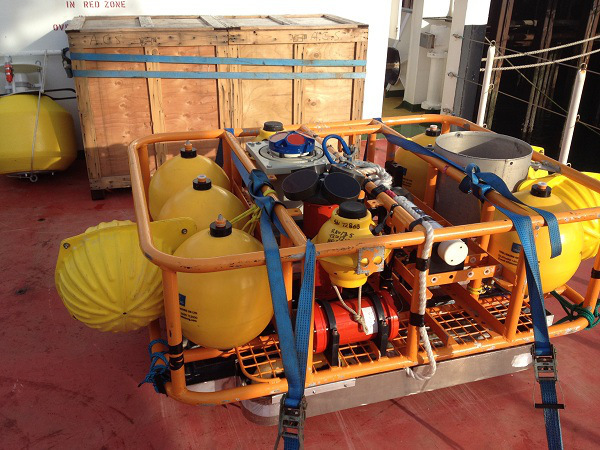 This seabed lander has two devices for measuring the water currents using pulses of sound. It will sit on the seabed measuring currents until March next year.